What is FIRPTA? It is an acronym for the Foreign Investment in Real Property Tax Act. It was enacted back in 1980 and requires withholding and remittance of 10% of the amount realized by the foreign seller of a US real property interest. Who does FIRPTA deem as a Foreign Person? Any individual who is not a US citizen or a resident alien, a foreign corporation that has not elected to be treated as a domestic corporation, a foreign partnership, trust or estate. What does FIRPTA deem a US Real Property Interest? Any interest in real property that is located in the U.S., interests in certain US corporations, and fee simple, leasehold, life estate and easement. When do you file FIRPTA forms? All forms (8288, 8288A & 8288B) need to be filed within 20 days of the closing to the address on Form 8288. Don’t forget to send 10% withheld from the proceeds along with the forms. Failure to file properly could result in interest and penalties assessed against the transferee (buyer). What are some Exemptions to Withholding? With a Non-Foreign Affidavit, the seller provides a sworn affidavit that they are not a “foreign person” under FIRPTA and the transferee (and agent) is to keep affidavit for at least 5 years after closing. What are some of the Exemptions for a purchase of residence that is $300,000 or less? The transferee must be an individual and the transferee or certain member of their family must reside on the property for at least ½ the time the property will be used as a residence for the first 2 years following the closing. 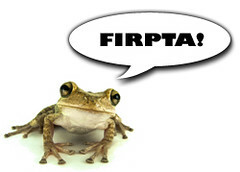 FIRPTA and Short Sales: The most important thing is to ask about foreign sellers EARLY! Include withholding on the preliminary HUD. You will need to determine the amount realized. You are better off using the entire original loan amount on the preliminary HUD and then change once forgiveness amount is known. Visit our website at http://www.title-junction.com/services/foreign-investor-services.html on more foreign or FIRPTA information. Posted on December 7, 2012, in Title and tagged Buyer, Domestic Corporation, Easement, Estate, Exemption, Fee Simple, FIRPTA, Foreign Corporation, Foreign Investment in Real Property Tax Act, Foreign Partnership, Form 8288, Form 8288A, Form 8288B, Fort Myers, http://www.kristenpell.com/idx/index.php, HUD, Jennifer Ferri, Leasehold, Loan, Non-Foreign Affidavit, Preliminary HUD, Property Guiding, Resident Alien, Short Sale, SWFL Real Estate, Title Junction, Title Work, Transferee, Trust, US Citizen, US Real Property, US Real Property Interest, Witholding. Bookmark the permalink. Leave a comment.